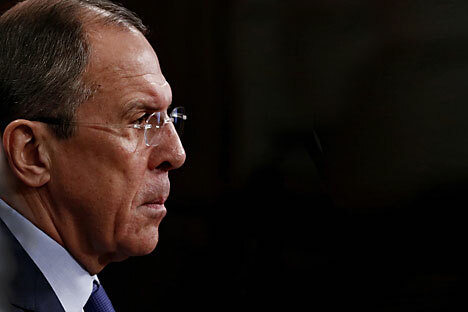 The United States sticks to the policy of confrontation and dominance but this too shall pass, Russian Foreign Minister Sergei Lavrov said. "The Americans have taken a course towards confrontation and they are absolutely not critical of their own moves," he said at a press conference in Moscow. "The address delivered by President Obama yesterday proves that the [U.S.] philosophy has only one central piece - we are No1 and everyone else has to admit it," the Russian minister remarked. "This [attitude] is a bit old-fashioned, it fails to meet present-day realities and demonstrates that the United States actually wants to dominate the world rather than be the first amongst equals," Lavrov said. "This too shall pass," he uttered. "Probably, the change will take some time but they will come to realize that this position cannot be maintained forever," the Russian foreign minister underlined. He noted that the United States was unable to resolve any problem alone. "They are forming a coalition; they did so in Iraq and they are doing so now in fighting the so-called "Islamic State", they are marshaling Europe, for instance, in the Russia issue, this is in their blood," Lavrov said. "It will not be easy to change this philosophy, the genetic background," he said. However, Lavrov is confident that, in the end, "the logic of partnership and the logic of collective actions based on the elaboration of common approaches rather than someone's vision of the situation will triumph." "This is what we have been consistently calling for," the Russian minister emphasized.